This weekend Playground Detroit is bringing together lots of bands, people, and local companies to help out some of the Detroit Public Schools. For three years now the organization has hosted a holiday party to collect money, art supplies, and musical instruments for the schools. The event is called Holiday Recess and this year it will be happening on Saturday, December 12th. The products and proceeds from the party will go to Central High School, Detroit Community High School and Detroit Experiencia Preparatory Academy. 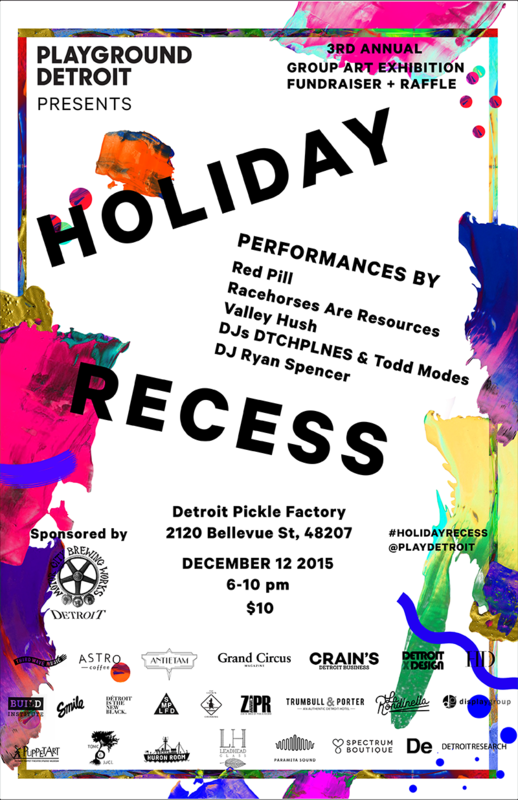 Holiday Recess is happening this Saturday at the Detroit Pickle Factory, located on the city's east side at 2120 Bellvue St. For more information on this event and to get the inside scoop on those raffle prizes, head over to the Facebook event page here. To pick up your tickets in advance, click here.